April marks the most anticipated long weekend of the year but Easter Eggs and pickled fish don’t have to be the only things on the agenda. 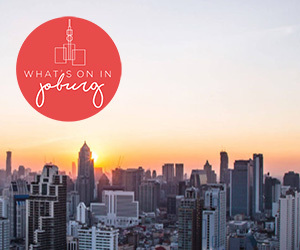 Check out our list of 10 upcoming events in and around the Mother City this April. Local and African designers take to the runway at the 2019?Cape Town Fashion Week hosted by African Fashion International (AFI). A Masterclass, XPerience?support workshop and a Gala Dinner lead up to the runway shows, displaying the best African-designed products. Medical doctor, comedian, and drug law reform activist Keith Scott delves into the topic of drugs in his one-man satirical comedy Doctor Scott is Psycho-Active. ?He relates his own experiences with drugs and explores society’s relationship with narcotics and the laws around it. VOX Cape Town performs a mix of?early and contemporary choral music at the Norval Foundation. The concert features?rarely-performed choral music by contemporary minimalist composers such as Henryk Górecki, Arvo P?rt and Philip Glass. The event is part of a series of concerts, often in unconventional spaces. Monster Jam comes to South Africa for the first time ever, featuring world-class drivers racing monster trucks and competing in freestyle competitions. The event features?six of the world’s most famous Monster Jam trucks, weighing five tons and four meters tall. They race and rip up a custom-designed track full of obstacles to soar over– or smash through. The?Trolley?Dollies?are back with Non-Specific, a performance which includes?stand-up comedy, costumes, wigs, props and breaking the fourth wall in an inside scoop?to the?dark spaces beyond the spotlight. Artist Wim Botha depicts natural environments and landscapes through a?series of oil paintings and sculptures in his ninth exhibition at the Stevenson Gallery. He uses?wood, wax, marble, raw cotton canvases, natural pigments and ash to form his artworks. A chance for wine lover and foodies to experience South Africa’s best cool climate wines, local food, and a host of live music and entertainment set among the natural beauty of the Elgin Valley. Indoni Dance, Arts & Leadership Academy dancers and outreach students perform at three public parks in Cape Town. ?The project showcases innovative Contemporary African dance and music and exposes young aspirant artists to professional artists. Comic and pop culture geeks unite at the 2019 Cape Town Comic Con, featuring?international and local guests, artist alley, cosplay activities, geek merch exhibitors & retailers, panel talks, signing sessions, a board game zone and more. V&A?Waterfront’s Drinks on the Deck offers?three wine, beer, spirit or cocktail drinks and a portion of?tapas from the Greek Fisherman or Meloncino Italian restaurant. See what else is happening in Cape Town?this month. For regular updates on the best events?subscribe to our weekly newsletter.